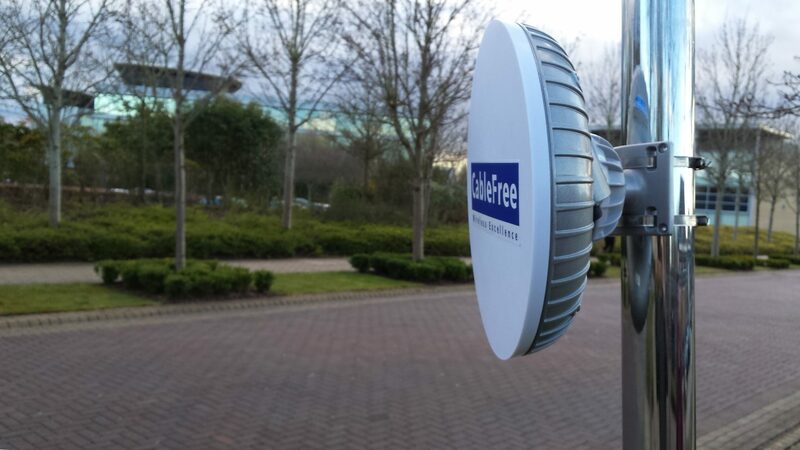 CableFree Pearl features:CableFree is introducing our new MIMO Radio, a high capacity, modern IP radio offering up to 867Mbps capacity for diverse applications including corporate networks, CCTV, Safe Cities and Wireless ISP networks. With many unique features, CableFree Pearl is available in both 5GHz and 2.4GHz Unlicensed plus 4.9GHz Public Safety bands to suit varied applications. CableFree Pearl is a Full Outdoor Radio with Rapid Easy-Twist Mount and Power-over-Ethernet (PoE) connection using a single Cat5/e/6 cable for rapid and simple installation. CableFree Pearl is fully shipping and available today.